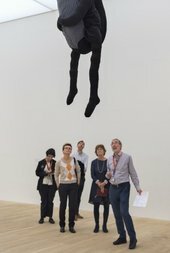 Each tour starts with a general introduction to Tate Modern and then visits a specific display. Tours are on the hour, every hour from 11.00–16.00. A hearing loop is available for these tours. These tours are designed for individual and small groups. Find out more information about the group visits and private tours. Getting to the tours may require using lifts, escalators or stairs.